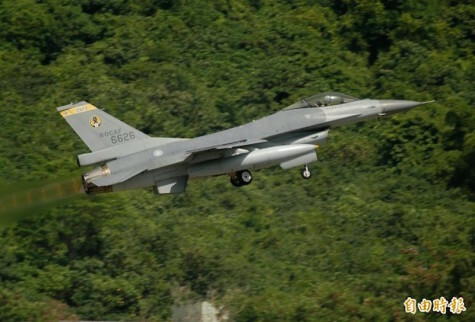 TAIPEI --- The first upgraded F-16 fighter jet, known as the F-16 Viper or F-16V, has been delivered to the Air Force by state-owned aviation firm Aerospace Industrial Development Corp. (AIDC), an Air Force official said Saturday. The official, who spoke on condition of anonymity, said that three other F-16Vs are currently undergoing extensive flight testing and are expected to be delivered to the Air Force by year-end. The fighters are part of a NT$110 billion (US$3.68 billion) program launched by the government in 2016 to upgrade Taiwan's 144 F-16 A/B jets into F-16Vs, the largest and most important upgrade ever undertaken by the Air Force. In order to carry out the program locally, the manufacturer of the jets -- Lockheed Martin in the United States -- sent engineers to Taiwan last year to help train local personnel at the AIDC on how to carry out the upgrades. According to the AIDC, the retrofit program includes installing advanced equipment on the fighters, including the AN/APG active electronically scanned array radar system currently used in the U.S. F-22 and F-35 fighters. The comprehensive upgrade of the Air Force's entire F-16 fleet is expected to be completed by the end of 2023.